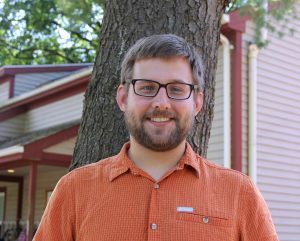 Kevin joined Common Ground in 2016 as a biology teacher. He previously taught a variety of science courses at high schools in Brooklyn, NY, Chicago, IL, and New Haven, CT. Kevin’s science background includes publishing research on the molecular biology of diabetes, finding the specimen used to define a new species of salamander, and dissecting a human body as an M.D./Ph.D student. He has also worked at the U.S. Environmental Protection Agency, volunteered as an HIV tester and counselor, and led a nutrition and water purification project in a South African village. In his free time, Kevin enjoys outdoor activities like hiking, kayaking, and SCUBA diving. Contact him by email at kevin.sinusas@commongroundct.org.